Was $1,049.97 Shop now and save! Product Description Cottage Hideaway. 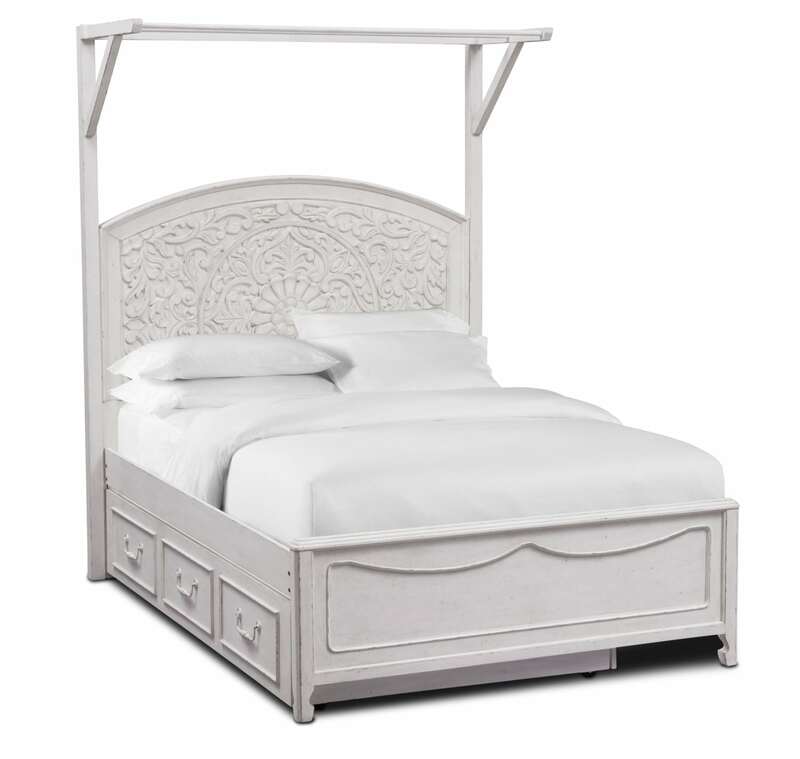 Retreat to your own personal Tuscan chalet with the arresting beauty of the Florence Full Canopy Bed with Trundle. Featuring a weathered, antique linen finish that exudes the character of furniture passed down from generation to generation, this piece includes delicate detailing through its gorgeous craftsmanship. Accommodate overnight guests with a trundle that can be conveniently stored underneath the bed when not in use. Customer assembly required. Unique Features: Matching antique pull hardware creates a fluid look. The stately canopy adds a whimsical finish. A sculpted footboard complements the elaborate detailing on the headboard. Convenient trundle, stored underneath the bed, provides additional sleeping space. Intricate hand carved detailing creates a floral pattern on the headboard.